This post took longer than i thought to be done, but it’s better later than never, right? February 2014 was a great month for me. I could build something that i think helped a lot of people to start making games. 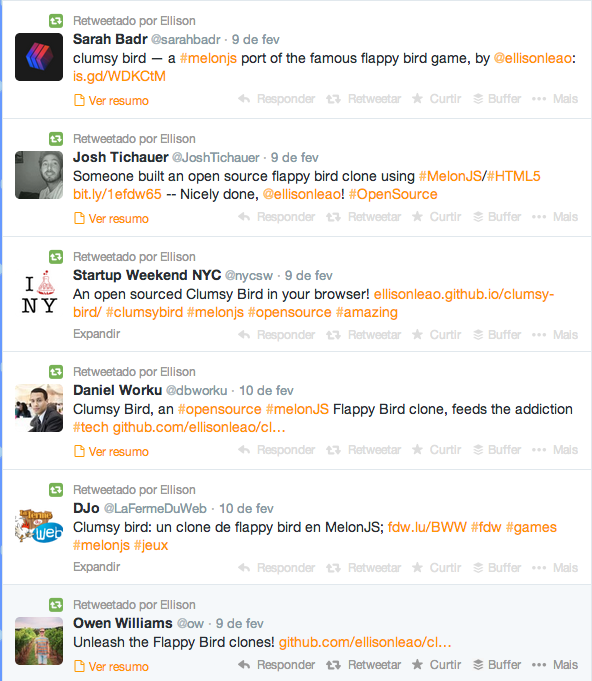 This 2 day project, called Clumsy Bird, a simple clone of the famous Flappy Bird, just because it was (and still is) an open source project, got a lot of visibility from all over the world. One of the things that gave him so much stars on github (400 stars in just 1 week) , was the Hacker News post, with a lot of positive comments and a lot of haters as usual too. The game was made with a fabulous game framework called MelonJS, which i recommend to all game developers that needs to make high quality games and fast. The official game website is having an average of 3k access per day and more than 180k views already. We had 6 contributors on the official repo that helped fix a lot of issues and some bugs. And even a youtube gameplay video! 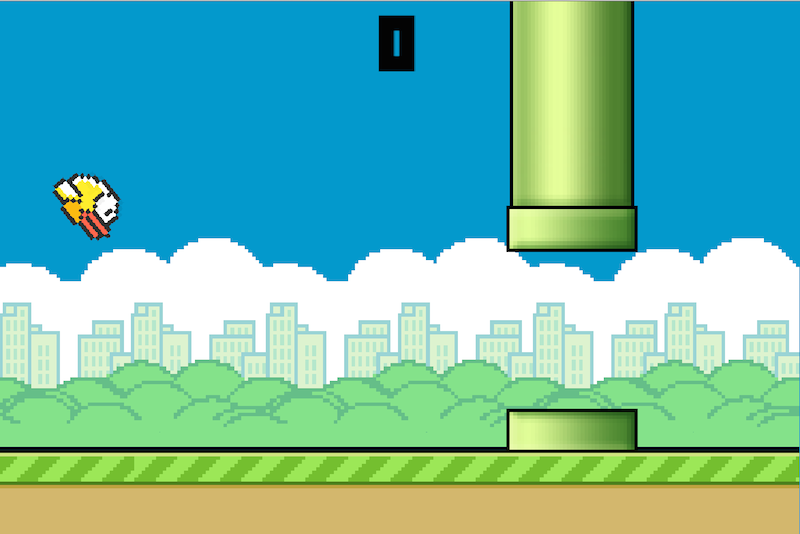 I wish i could inspire you a liitle bit and show you that you can make a simple but great game using only free tools. Feel free to contact me at twitter @ellisonleao and if you want to contribute with the repo, fork it and send me your pull request. I’ll be glad to help!